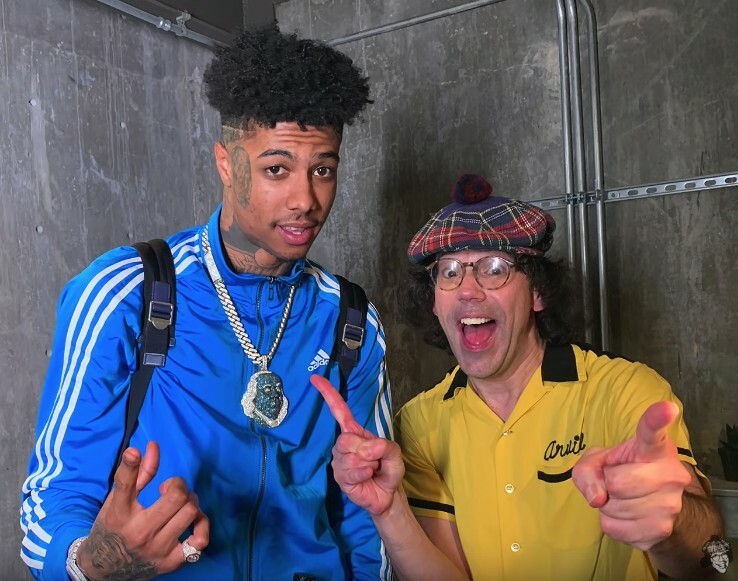 If you were lucky enough to get into our jam packed showcase down in Austin, Texas this past week then you were probably very excited when the GOAT Nardwuar walked into the building, and you probably had a hunch that he was their to interview some artists, and you guessed right as he interviewed Blueface backstage. You will find Nardwuar asking him plenty of interesting subjects such as how he use to give haircuts, the World On Wheels skating ring, performing at high school gigs, his signature moves, his terrific football career, Suga Free, his fashion sense and at one point Nardwuar even shows off his dancing skills. Take a few minutes of your time to check out this awesome new conversation below.